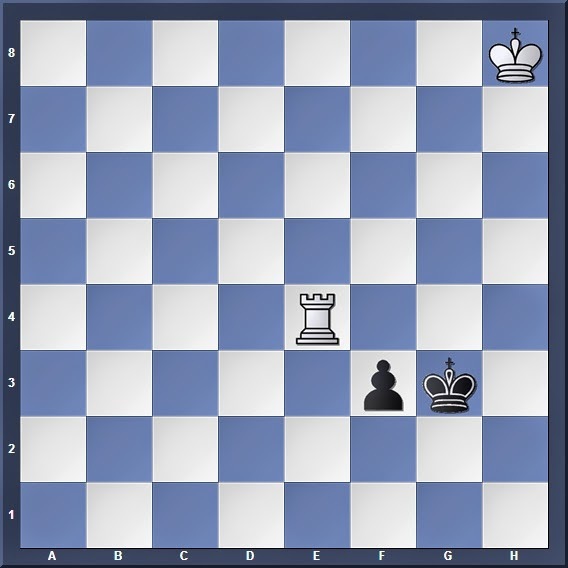 Black to move, who wins? If you're interested, this position is in fact a famous endgame study known as the Saavedra Position, named after the Spanish priest Rev. Fernando Saavedra (1849–1922), who spotted a win for Black in this position, which was previously thought to have been a draw. Now some of you may be thinking: "But Black can obviously win over here, what's going on?". If that is the case, then well done for remembering what you have learned in Part 2! But now, the position of Black's king and pawn allows White to try an interesting drawing trick, which Black must know how to sidestep. Similar to our previous position in Part 2, White must resort to repeated checks to prevent promotion. I hope you remember that 2... Kf4? doesn't work because of 3. Re8! threatening a skewer on the f-file should Black promote his pawn! And behind the screen I can already hear some of you shouting "OMG!". The threat here is that after 6... f1=Q? White forces a stalemate after 7. Rf5+! Rxf5. A truly ingenious move! And now 7. Rf5+ Rxf5 leads to nothing for White, and the unfortunate position of White's king gives a checkmate threat on h1! And White must lose his rook or face checkmate on f8. 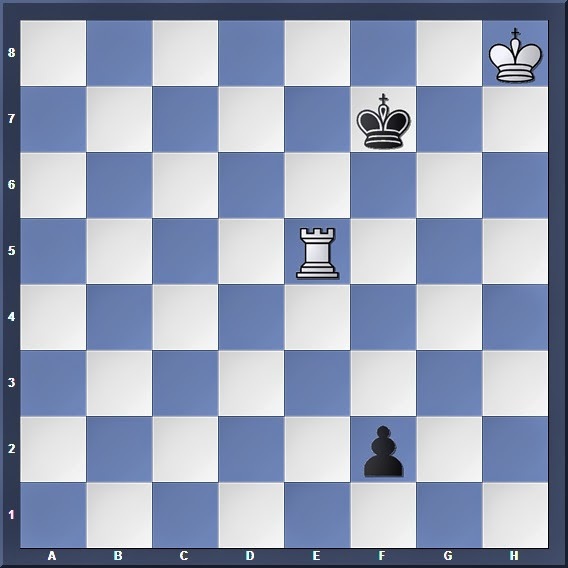 In our final part for Rook vs Lone Pawn endgames, we will take a look at how conventions may change when the pawn in question becomes a rook pawn.